Managing music files and deleting duplicate songs will not only result in a better organized music collection, but will also save gigabytes of valuable disk space. It is extremely annoying to have duplicate songs in your iTunes Library, iPhone, iPod, iPad or any other mp3 player. Using a musing manager application can solve this issue and keep a clean of duplicates music collection. 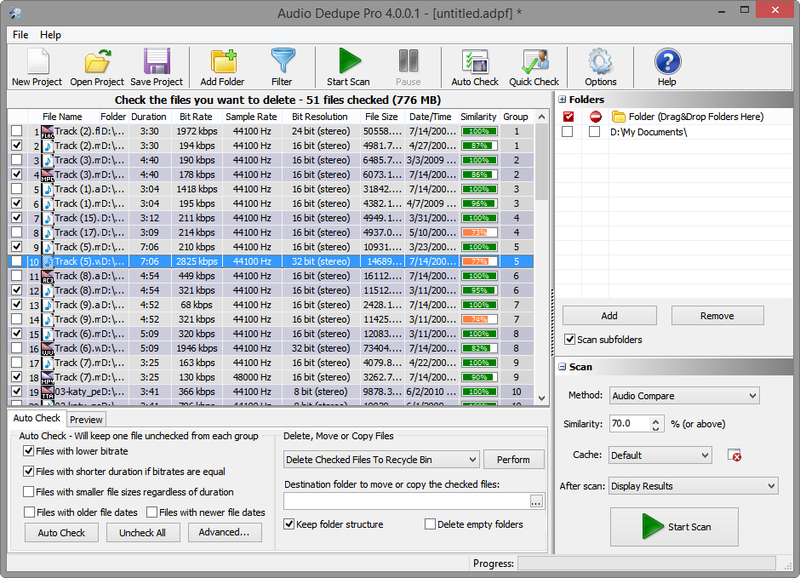 Audio Dedupe is an innovative tool that can put and end to the mess in a music collection. There are plenty of methods that Audio Dedupe offer in organizing songs. The most notable thing about this product is the fact that it will actually “Listen” to the songs in a music collection in order to find similar or duplicate items. The tool performs a real audio analysis and can find similar songs even if they are stored in different audio formats. It does not rely on data like ID3 tags. If the songs are ripped from a CD or imported/downloaded from other locations and miss their ID3 tags Audio Dedupe is still able to identify them. While many duplicate file finders are marketed like duplicate music finders the only thing they do is to find exact duplicates or in best case to look for duplicate ID3 tags. This is not much convenient as files that are stored in different file formats or have different ID3 tags or are not tagged at all will not be identified. This is the most often case when looking for duplicates so a standard duplicate file finder does not help much when the word comes to managing music libraries. Using Audio Dedupe to manage a music collection is easy. 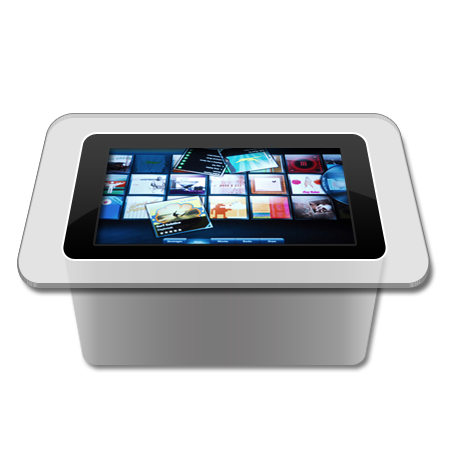 It can scan an entire computer or just certain folders where the audio files are stored. The tool will locate and analyze all supported audio files and list them in a neat table grouped by similarity. While talking about file format we should mention that it support all common audio formats like – AAC Files (*.aac; *.mp4, *.m4a) – iTunes, iPod, iPhone Audio Files including Apple Lossles audio, AC3 Files (*.ac3), Audio IFF Files (*.aif; *.aiff), FLAC Files (*.flac), MPEG Audio Files (*.mp3;*.mp2;*.mp1;*.mpa), Musepack Files (*.mpc), OGG Files (*.ogg), WAVE Files (*.wav), WavPack Files (*.wv), Windows Media Audio Files (*.wma). There is a built in player that supports continuous playback while switching between files. This is very handy as one can easily compare the quality of the audio in order to keep the best one in the collection. Speaking about quality, the application lists the bit rate, size, length, format and many other properties for every file in order for the user to easily choose the one to keep. There are also auto-check features that can automatically select files for deletion based on the above mentioned properties and also file date, file time, file location and so on. Keeping an organized music collection and managing songs is easy using Audio Dedupe. This entry was posted in Information and tagged Audio Manager, Best Duplicate MP3 Finder, Best Duplicate Music Finder, Best Duplicate Songs Finder, Best Way to Delet Duplicates in iTunes, Delete Duplicate Music, Delete Duplicate Songs, Delete Duplicates, Delete Duplicates In iTunes, Duplicate Music Finder, Duplicate Songs Clenaer, Duplicate Songs Finder, Find Similar Audio, Find Similar Mp3, Find Similar Music, Find Similar Songs, Manage Audio, Manage MP3, Manage Music, Manage Songs, MP3 Manager, Music Manager, Remove Duplicate Audio, Remove Duplicate Mp3, Remove Duplicate Songs, Remove Duplicates, Remove iTunes Duplicates, Songs Manager on March 31, 2013 by MindGems Support.